After being thrown in a pool with my 2 month old 32gb 5S, I completely disassembled to dry/clean it. :( It is currently drying in a sealed container of dessicant. However, while disassembling, at one point I picked up and turned over the back half, and this little triangular(ish) metal piece fell out. 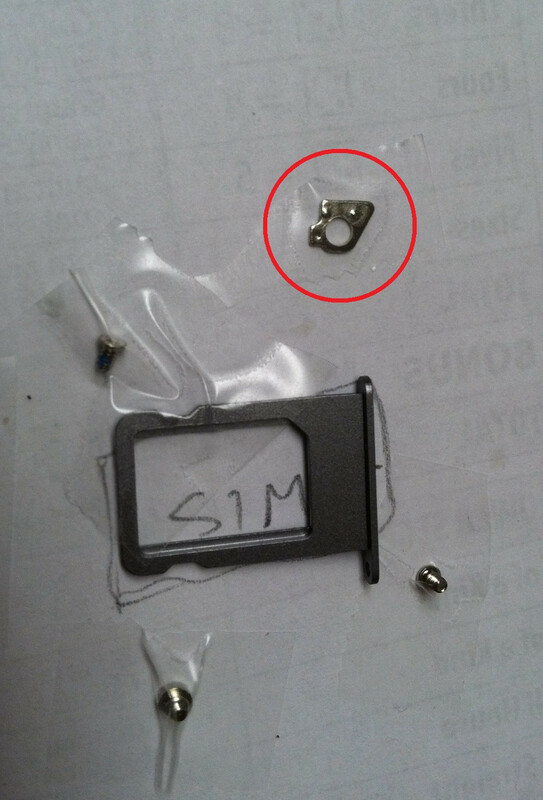 I have checked countless disassembly and reassembly guides, pictures, and videos, and I cannot spot it anywhere. Can someone please help me??? What is this parts function Tom? I know from somewhere that it's an important piece.. Does it help the wifi in some way? Which phone did you open? iPhone 5 or 5s? It's a spacer, It goes under the very top screw hole of the main board, and aligns up against edge of the top housing, with the longest edge of the spacer near the power button. In the tear down guide refer to step 23 or 27 of the comments, I posted more info there. Can u pl give the full name of the Teardown guide u mentioned, or the link. Can anyone take a picture of how it goes in? Step 31!!! There are three small pictures, click each one and enlarge! I had NO idea where this thing went!